PAM00368 Luminor 1950 Left-Handed 8 Days Titanio 47 mm. Finally a new 'destro' model from Panerai. 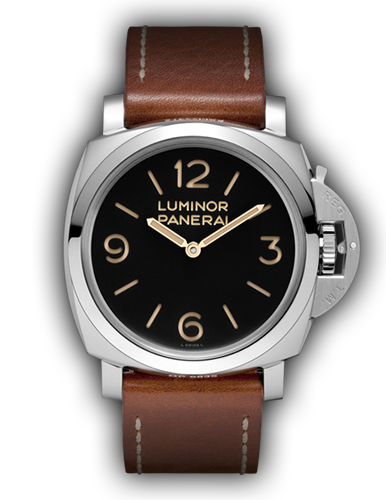 This is a Special Edition model with the P.2002/9 movement. I am sure this will move very fast. 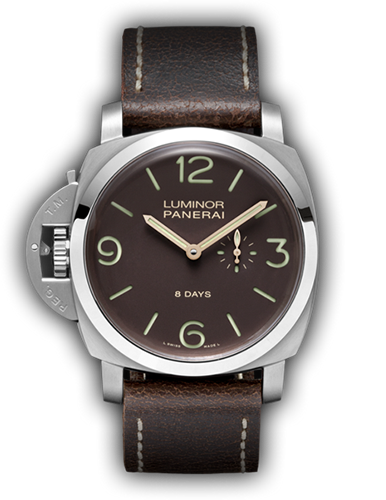 PAM00372 Luminor 1950 3 Days 47 mm. I am not sure but I suspect this is in the Historic collection and is the new Base with the new P.3000 movement. Nice, I like. 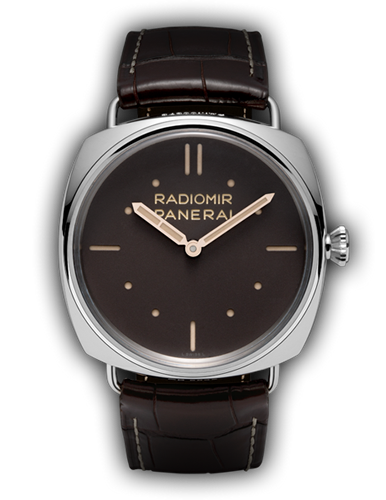 PAM00373 Radiomir 3 Days Platino 47 mm. Yet another old design revived. Very nice. Special Edition model. Wish it was in stainless steel. 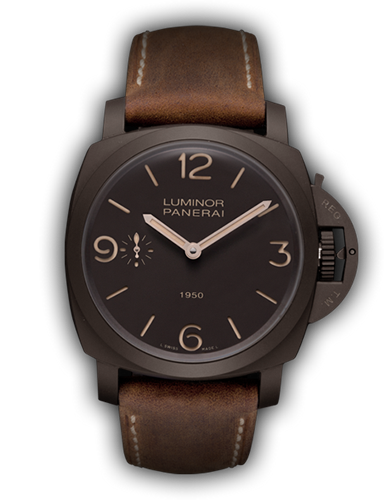 It is powered by the new P.3000 movement. PAM00375 Luminor Composite 1950 3 Days 47 mm. 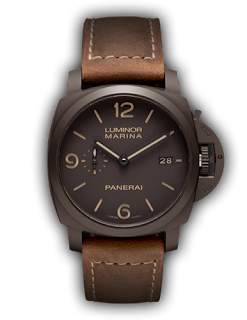 The watch to get, I believe. Special Edition model. This has the new P.3000 hand-wind movement. If you cannot get the PAM00375, you can get this watch, the PAM00372 Luminor Composite Marina 1950 3 Days Automatic 44 mm. This will be part of the normal collection, making it 'easier' to get one. The watch is powered buy the P.9000 movement.